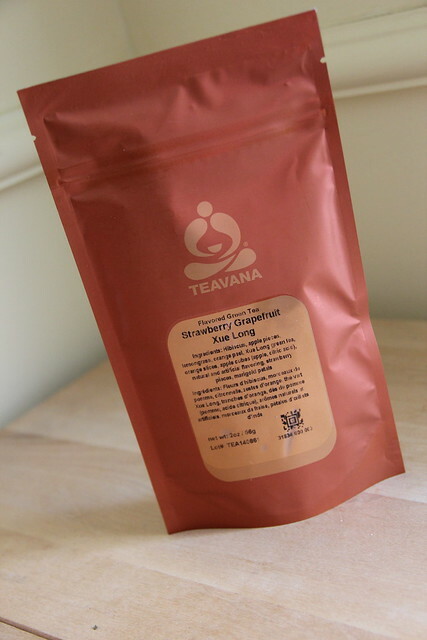 It’s funny because I don’t really like fresh grapefruit or grapefruit juice, but I loved the tang of Adagio’s Grapefruit Oolong, so when I placed my order from Teavana I decided to try the Strawberry Grapefruit Xue Long. 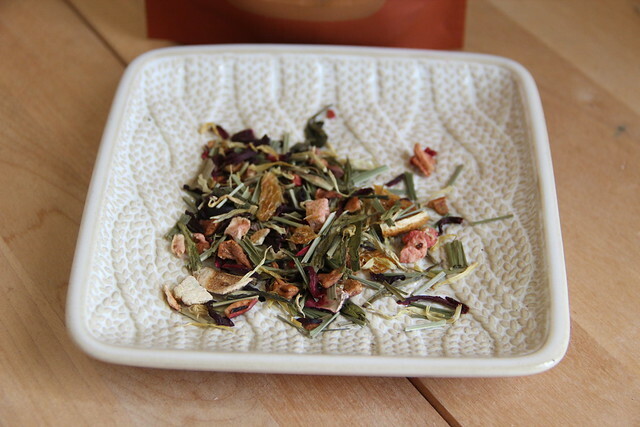 From the package it contains: pink grapefruit, hibiscus, apple pieces, lemongrass, orange peel, Xue Long green tea, orange slices, strawberry pieces and marigold petals. It’s available in multiples of 20z for $9.98 per 2oz. When I first opened the package all I could smell was the tang of the grapefruit and the citrus peels. I smelled the same once it was brewed. The taste was much more balanced – it was a sweet and tangy grapefruit and hibiscus mostly. I really liked it and think it would be a great option for iced tea. I’ll have to try that! Previous Craf-tea: Dyeing yarn with tea. Next Teaccessories: Mugs for Grammar Nerds.